Application Range:It is widely used in power plants, metallurgy, refractory material, chemical industry, energy, transport, heating and other industries. Metal powder briquetting machine can press oxidize iron, dust, ash, blast furnace slag, manganese ore powder, silicon manganese alloy powder, iron smelting slag, ore concentrate and various ore powder materials in nonferrous metal industry into balls. 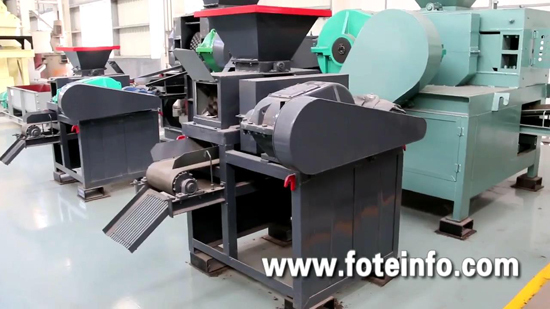 So it is also called nonferrous metals briquetting machine. 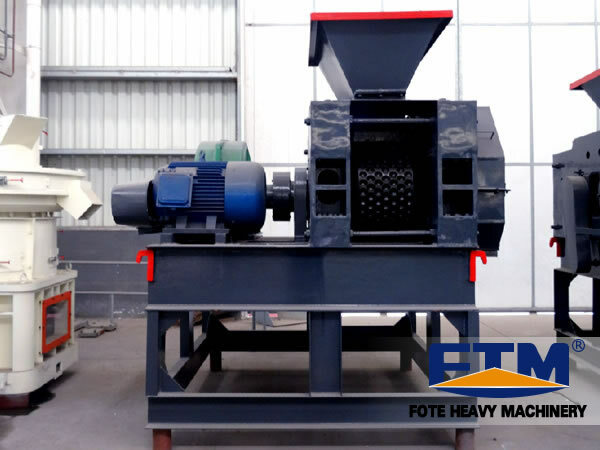 Metal powder briquetting machine can be used to suppress coal powder, iron powder, coke coal, aluminum powder, iron scrap, iron oxide sheet, carbon powder, slag, gypsum, tailings, sludge, kaolin, activated carbon, coke as well as other powder materials and waste residue. It is widely used in power plants, metallurgy, refractory material, chemical industry, energy, transport, heating and other industries. The processed material is energy saving, environmental protection and convenient for transportation, which improves the utilization rate of waste materials. 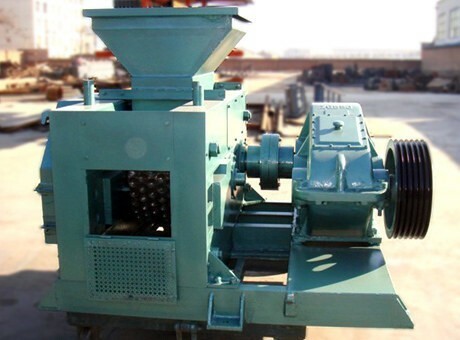 Scrap metal powder briquetting machine is mainly composed of three parts: feeding part, transmission part and molding part. 1. Feeding part. It ensures that the uniform material can enter into the roller by quantitative feeding. The screw feeding device is driven by electromagnetic motor, belt wheel and reducer, and then the materials will be pressed into the feeding inlet. Due to the torque characteristics of electromagnetic adjustable motor, when the pressing material amount of screw feeder is equal to the material needing amount of the host, it can maintain the constant feeding pressure to make the ball quality stable. 2. Transmission part. The main transmission system is motor - triangle belt - reducer - open gear - roll. The host is powered by the electromagnetic adjustable motor. The power is transferred to the drive shaft through belt pulley and cylindrical gear reducer by pin coupling. The driving shaft and driven shaft are in synchronous operation through the open gear. 3. Molding part: mainly refers to the main engine, and the core part is the roller.